Mummy & Jade Adventures: Bootsale Bargain Buys! Salut! 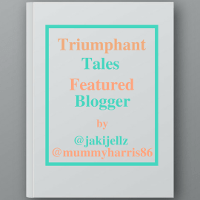 I thought I would start my own blog series called ‘Jade and mummy’s Adventures’ where I basically post about all the new things we do and wether we enjoy partaking or if it is worth it. Today I decided to write about finding some bargains at our local bootsale. Some people have this stigma… Continue reading Mummy & Jade Adventures: Bootsale Bargain Buys!